I was finally able to use the coconut flour I bought last month at Healthy Options. Apart from using almond flour and oat flour, I also have added coconut flour in my baking. YAY! Why? I have a lot of good reasons. However, switching to non-refined enriched white flour may need to be learned, it can be an acquired taste, it has a somewhat, grainy mouthfeel and the unique smokey and musky coconut aroma. But switching to it is much wiser and it is still yummy to the taste. Oh yes! It is definitely GLUTEN-FREE! But this one isn’t at all mealy in texture. It’s probably the easiest flour to start with if you’re new to gluten-free cooking. Lots of good fat. Coconuts are loaded with healthy fats, and coconut flour takes advantage of these in a very raw way. There’s very little processing, and the meat of the coconut retains a lot of that savory goodness. Contains lauric acid. This is one of the healthy fats crammed into this delicious flour. This one’s especially important because it’s hard to find in most foods. You can look to this fat for help in maintain a healthy thyroid and healthy skin. Safe for diabetics. If you’re watching your blood sugar, this is the flour for you. 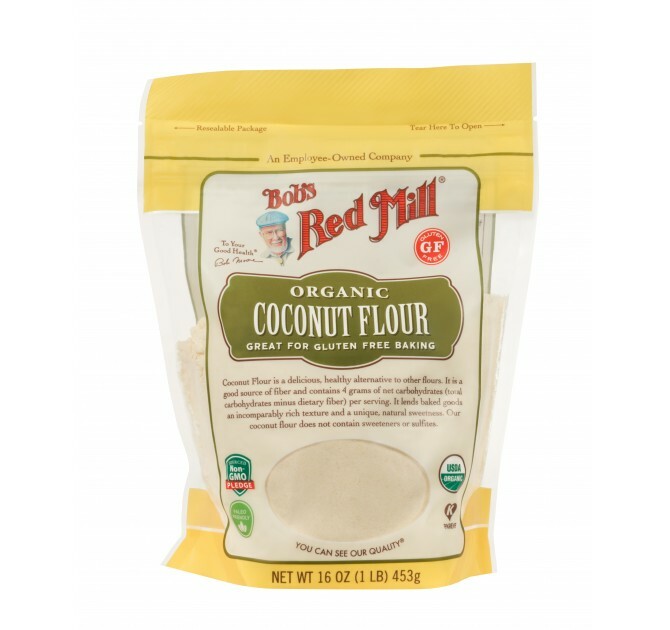 Unlike other conventional flours, coconut flour doesn’t affect blood sugar in a dramatic “spiking” fashion. It may even help reduce the effects of other foods on your blood sugar levels. High fiber levels. Unlike most flours, coconut flour has an incredibly high level of fiber, especially the variety of fiber that makes you feel full. A nice little bonus for your sweet treats! Promotes healthy digestion. Coconut flour’s particular composition of fats and particular fibers lends very well to the helping your body stay regular. Contains protein. Did you know that flours can contain protein? This one does, perhaps due to the minimal processing that goes into making it. Low in carbohydrates. Despite being notorious for making you feel full, this flour is low in carbohydrates and is a great option for those looking to reduce their intake. Contains manganese. This is definitely the most unique benefit of this flour. Manganese is a vitamin that’s key to general vitamin absorption in your body. It works very closely with Vitamin D in protecting your bones. Densely delicious foods. Okay, this isn’t strictly a health benefit. But how many times have you tried to make a dense cake and found it incredibly difficult, so you had to make a few? Exactly. With coconut flour, you can make one and be done. So much healthier! Coconut doesn’t need to be soaked! All grains and nuts should be soaked to reduce phytic acid (an anti-nutrient). Coconut flour contains very little phytic acid, which means you don’t have to go to the trouble of properly preparing it! Low in Polyunsaturated fats (PUFA). I do my best to keep my PUFA intake low. Most nut flours are extremely high in these fats, but coconut flour is low in PUFAs. 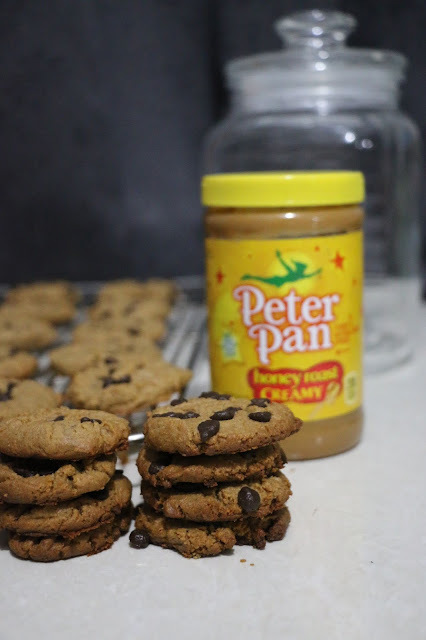 But you know what, making the batch of this rich peanut butter cookies is easier than understanding most of the terms mention above. I love this because this just consists of five ingredients, and at most 3 steps before you can get to bite in them. Bakes in !5 minutes and can be kept in room temp for three days and mostly a week in the fridge, but I doubt if it's going to take that long. In a bowl mix all the ingredients with a spatula or wooden spoon. 2. In a wax paper lined baking tray, spoon the batter, put chocolate chips on top and bake for 15 mins at 350 * F.
3. Cool on wire rack. its so nce to know that you can enjoy cookies without about the sugar and carbo. Its very healthy.